Career in Architecture is attractive, lucrative, and has lots of potential in terms of development. The architectural degree is designed in such a way so that it fulfills the educational component of professional certifying bodies. This field covers different works such as spatial design, safety management, aesthetics, material management, etc. Bachelor of Architecture (B.Arch) is a well-known undergraduate bachelor’s degree programme of Architecture. Architecture is the art of planning, designing, and constructing buildings and other physical structures. You can become an Architect after completing B.Arch education. Architects are the actual creators of amazing buildings and structures that exist in our surroundings. Architect concentrates how to make people living simple and comfortable ranging from middle class to upper class & provide them shelter and housing with luxury and style. The Architect can work according to the need of the client. The architect must be a combination of artist, professional and entrepreneur qualities. Bachelor of Architecture (B.Arch) is a 5 year full-time duration programme. It is comprised of 10 semesters. It focuses on the subjects from the fields of engineering, arts and technology to the professional practice of architecture. B.Arch is a generous mix of both theory and studio exercises. Get Latest Career Notification about Architecture Courses, through SMS or E-mail by entering your details below. The Disciplines of Architecture are: Transport Planning, History and Pedagogy, Interior Design, Urban or Rural Planning, Construction Management, Architecture Theory, Landscape Design, etc. During the B.Arch Course duration and after completing this course, you can do an internship programme with an architecture firm or with some professional Architects to increase practical experience and better up job prospects. How I get admission in B.Arch? Candidates have to complete their 10+2 Examination with Mathematics and English as compulsory subjects & secure at least 50% marks in the examination. Those candidates have 10+3 year Diploma in any stream, they can also apply for B.Arch programme. Candidates can get admission in this programme through JEE Main 2019, NATA 2019. After completing your B.Arch course, you have a scope of higher study. You can apply for GATE 2019. The career opportunities for architects are very high because of the boom in the construction and designing fields. They are demanded in various government and private organizations. You can work in the sectors of construction, urban planning, urban development corporations, public works departments, interior designing, etc. Architects have lots of job opportunities in architect firms, universities, consultancy companies, etc. Global market, especially in the USA, Australia and Dubai provide attractive career and jobs for architecture graduates. Architects can work in the office as well as in the construction site. In construction companies, they are working as a designer. You can also work independently and earn occupation through consultancy charges that is depend upon your skills, profile and experience. As an Architect, your job in not limited to design corporate workplace rather than you have to design houses, colonies, apartments, hospitals, hotels, stadium, shopping complexes, schools, industrial complexes, etc. Government Organizations offering jobs to the B.Arch Candidates such as Archaeological Department, National Building Organization, Ministry of Defense, Departments of Railways, Housing and Urban Development Corporation, Public Works Department, etc. Some other organizations also hire architects are: Builders, State Departments, Consultants, Local Bodies for construction works, Architecture Firms, etc. After completing graduation, you can go for the higher studies. You can pursue Master degree or further studies in architecture field. You can also work as a lecturer in various Institutions. You can also work with an architectural firm or under the supervision of a well-established architect. 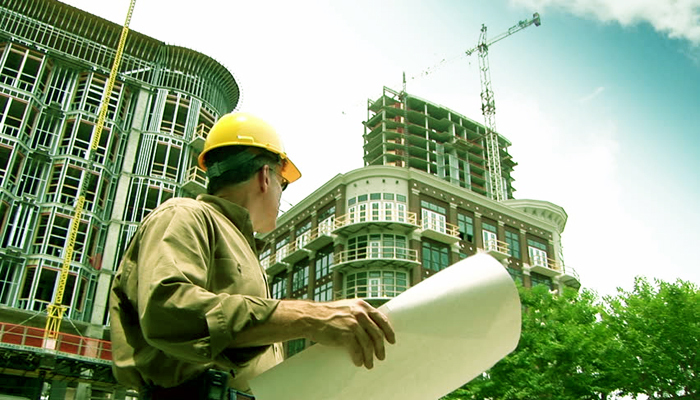 As an Architectural Consultant, you can work in different construction companies. As an architect, you can earn a starting salary about Rs. 4 Lac to Rs. 5 Lacs per annum. The salary will increase with your experience in this field. Candidates having a work experience of more than 5 years they can get salary in between Rs. 8 Lac to Rs. 10 Lacs per year. The salary is high in the private sector as compared to the government sector. In USA, Architect can earn a salary around $ 95000 per annum. The salary will also depend on your job profile, company, location & work experience. If you have any query about Bachelor of Architecture (B.Arch), you can ask your query in the comment box. sir i secure 9407 rank in obc cat.with 186 marks in jee main 2017 so please tell me can i get admission in igdtuw or any other college. i passed 12 this yr with medical with maths. I got 184 marks in JEE paper 2 can I get admitation in any NIT collage or any good collage & what is the carrier scope in B Arch. sir please give me suggestion how are preparing this ? which govt colleg i can get wid a score 161 in [jeemains paper 2]?? Sir,I have got 3408 rank in GN category in AKTU -B.Arch exam…what should do to take admission in BArch..
Sir i got 62 mks in NATA EXAM can i get admission for architecture? You need atleast 70 marks to pass nata 2017. Sir, i have qualified in NATA, i am in a dilemma of choosing between b. Arch and BE civil. Please guide me on the basis of future scope in these two fields. How is it possible for me to get a govt. College??? The cut-off may varies, so wait for the new cut-off. Sir,I have got 1109 rank in general category in AKTU -B.Arch exam…is it possible for me to get a govt. College??? May be you will get the govt. college. I just passed my Class 10th with 9.0 CGPA(CBSE Board). I have a keen interest to apply for B.arch..Can u tell me what is the scope of this job in India & under what conditions? Sir can I do B.Arch after 12th comers side. You have to appear in the NATA or JEE Mains. You have to appear in NATA or JEE MAINs exam. But I got only 951 in state board exam. What can I do next ?? What is the future scope of arch in india? Hello sir , I want to know if we can do m.des in automotive design after b.arch course. Would it be considered similar to a b.des course ? Most of the students those who cleared their 10 2 doesn’t have any idea regarding the B-Arch & planning courses…. Is it necessary to be good in drawing for B.arch course. i gave jee main in 2016 and secured 195 marks in b.arch. is my score valid for 2017 also? am i eligible for counselling this year? I completed my diploma in dmlt directly after 10th,so can I eligible to apply for b.arch giving NATA exam???? Please reply me..
Can we appear in UPSC exam after having Barch degree? I hv scored 88%in 12th and will gt around 240 marks in jeemain paper2 ..which colleges will I get probably?? since i’m interested can we approach the clg directly to get the admission…. by council r by 12th mark….? sir my drawing is not good ..can i choose b.arch as a career ??? ?please tell me sir g ????? In present days, why most of the students don’t pursue b. Arch as career and only run for b.tech course?? due to the rumor created by our society that after doing b.tech your life is set also most of the students don’t even know about this course and i’m telling you that within few years you will see a tough competition in this course also just like engineering. don’t take it wrong but i want to tell you that except 10k-12k students all the students who are doing b.tech course are just following the herd just like a sheep or on a harsh quote just like a donkey nothing else and we are seeing the ill effects of it “about 1.5 million engineers and 8% only getting employed and the rest ———bam!! !” engineering is a good course but it will not guarantee you good job may be if you do b.arch or b.des you may end up getting a job better than your friends doing b.tech “””most of aspirants are sheep””” a bitter truth of our country just see the trend within 3-4 years. I have given jee paper 2 but not nata. ..can I get into jj colleg of arch. And srm university by jee main paper 2 score? It is depend on the authority. I want to do b.arch but missed the NATA exam. Are there any other ways to do it? Hi. My daughter is expecting a score of around 210 in the paper 2 of IITJEE Main exam for B.Arch. However, she could not apply for NATA exam for this year thinking that she may appear it later (as NATA exams till last year were conducted on different dates). But this year, we find that there is only one exam for NATA 2017 and date of application already lapsed. 1. Is it now essential that she has to clear NATA, then only she can get admission ? 2. Can she get admission anywhere purely on the basis of IITJEE Main (paper 2) exam score? 3. If yes, which are the top colleges where she can get admission with a score of around 210-220? JEE Main Paper 2 is conducted for the admission to the NITs and centrally funded colleges Across the nation and the NATA Exam is conducted for the admissions to the B.Arch Colleges in India except NITs and Centrally funded colleges. is there any entrance exam of architecture in foreign countries such as USA or UK??? sir,I have written B.Arch exam.Is it write to choose B.Arch than B.Tech. Hello sir/ma’am, i hope to get 230 in jee main paper 2 and 79% in tbse. Should i apply for nata or can i get chance in b. Arch without any other admission test? What to prepare for nata and jee paper2 ??? And what marks should score to get good college??? Please help!!! you can check the NATA syllabus and prepare accordingly. Hello sir , i m in 12th in commerce stream. After clearing 12th , Can i apply. For b.arch..my Ques. is Commerce students can also choose this? Yes but you must have Mathematics in 12th. You can apply for NATA as well as for JEE Main. Sir/mam I am in my 1st year b,arch in Nagpur.But I want to take admission in Mumbai for 2nd year.So,how can I apply? You have to appear NATA or JEE Main to take admission in UG architecture courses. helo sir/mam i m studyng 12th on combination pcbcs(phy,chm,bio,c++)is i am eligible for b.arch and direct admission is avilable????? can i appply b arch ????? It doesn’t depend on gender. Civil Engineering can be equally good for boys and girls both. In B.arch which there were more categories so I am confused in choosing which is best can you give me a scope? I have just searched this site for information on B.Arch. This has been the best site I have visited so far, that has given comprehensive information. All the best to the creators. Hi…now im in 1st year b tech computer science branch.Our semester exams are starting 2nd of December. I have less hope in my cs engineering. Im intrested in b arch .So can I apply for b arch nxt year, dropping my engineering? Hi. Right now , i am in my 1st year b.tech . So , would it be possible for me to directly join 2nd year of b.arch course after dropping 1st year b.tech ? you can’t join B,arch directly to 2nd year. I’m doing my UG in Interior Designing,Am I eligible for B.Arch course after the completion of my current course…??? if you have had the PCM stream in 12th. Then only you may eligible.